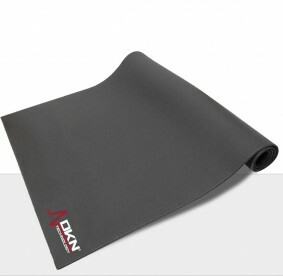 The DKN-Technology PRO-4 Magnetic Indoor offers a smooth and authentic feel. 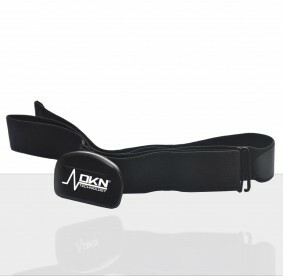 Those who know Indoor Cycling, choose DKN-Technology. 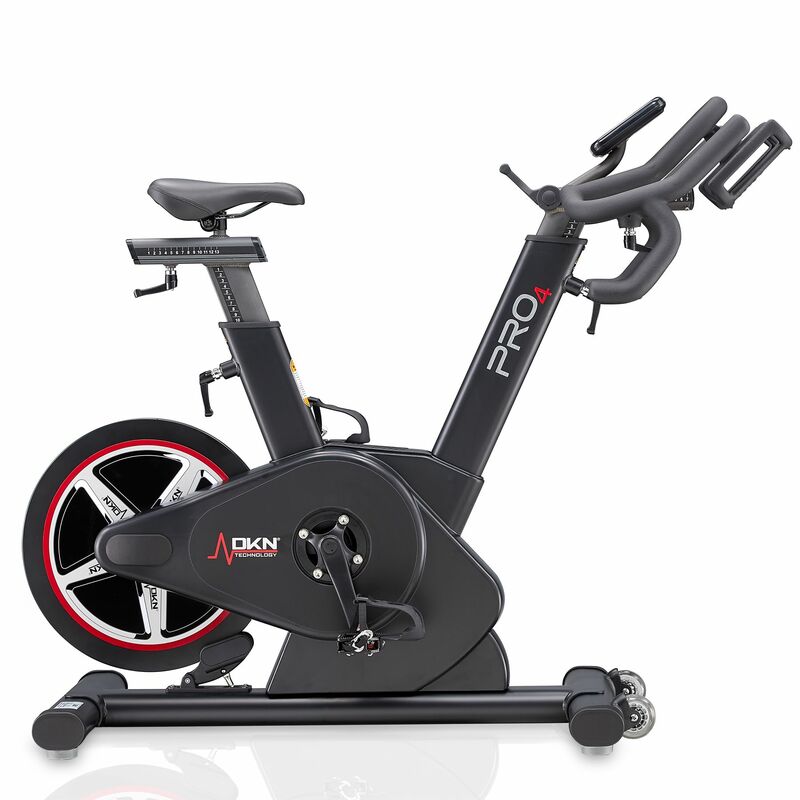 We’ve been around in the fitness industry for over 30 years, and the PRO-4 Magnetic Indoor Bike is found in individual homes, training facilities of universities and hotels and clubs all around the world. The Micro-adjust Power Lever is directly connected to the Linear Magnetic Resistance system and allows quick adjustments. The lever is easy to reach from all riding position and delivers the operation and the feel of a real road bike. The console displays the Direct Power Measurement. The power sensor is directly connected to the resistance system and wired to the console, so there is no need for manual calibration. 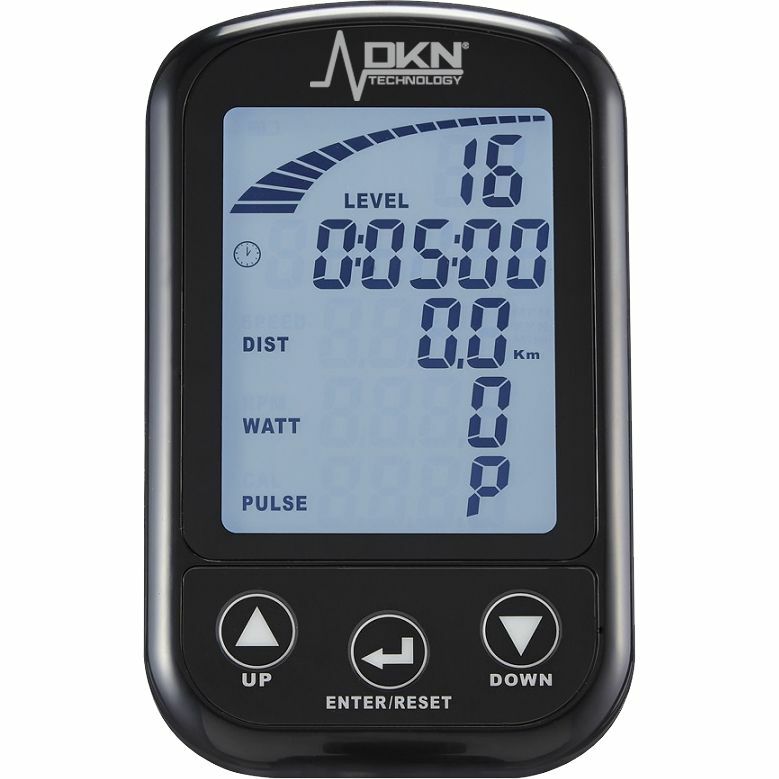 The rider gets immediate access to all power data generated, including time, watts, rpm, speed and tension control. In addition the 25 kg balanced flywheel is perfectly centered to avoid energy transmission loss. POLY-V BELT DRIVETRAIN: Direct Drive System with a Hutchinson Kevlar belt. 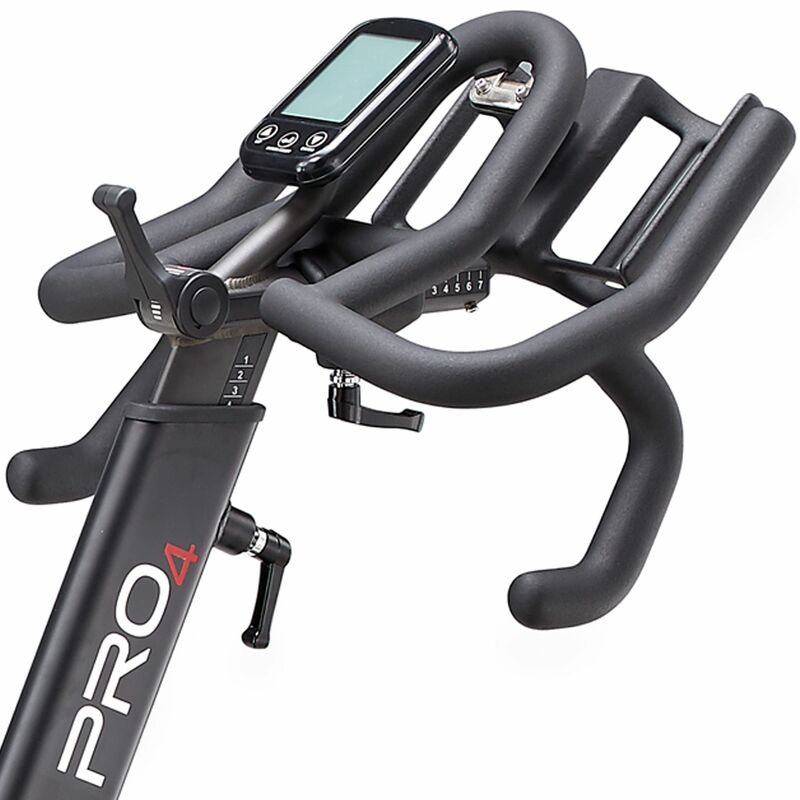 155MM Q-FACTOR: The Pro 4 offers superior biomechanics. The narrow Q-Factor of 155mm makes the Pro-4 feel more like a real bike, offering more safety, comfort and efficiency. DESIGNED TO WITHSTAND GREATER FORCE LOAD: the Pro-4 features an exceptionally strong SKF bottom bracket and custom cranks. SPECIALLY DESIGNED ‘V-LOCK’ SYSTEM: Easy and secure adjustments. ALLOY ON HANDLEBAR-STEM /SEAT POST CONSTRUCTION: Maximum stability and durability. MULTIPLE POSITION HANDLEBAR: Features multiple position hand grips including racing handles and double bottle holder. 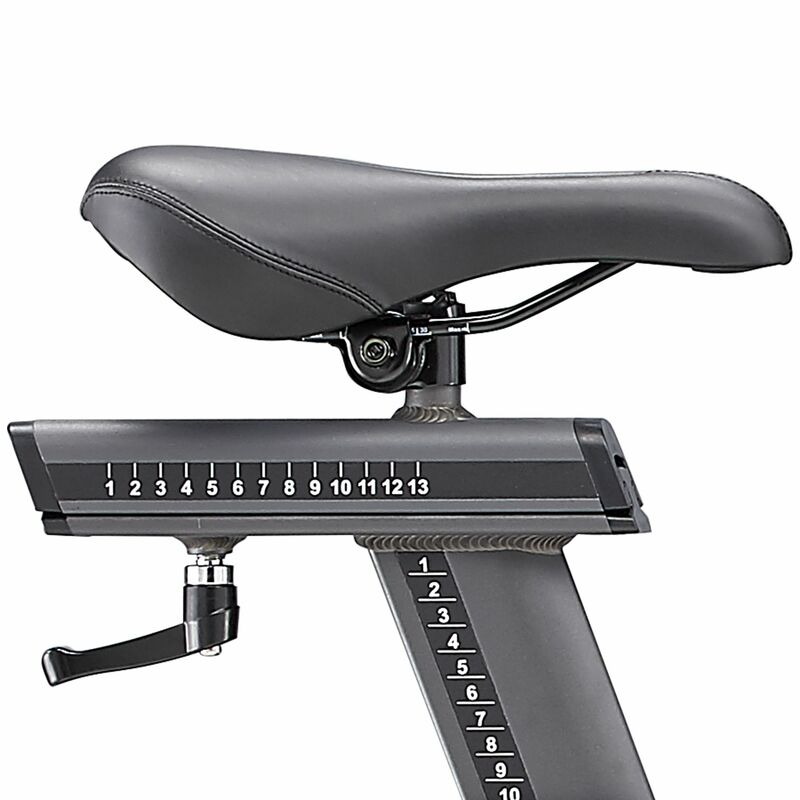 INFINITELY ADJUSTABLE FORE/AFT SADDLE AND HANDLEBARS: Allow position adjustments to the mm for a perfect fit. BUILT TO LAST: Experience a rigid frame design that is designed to last for years.